The National Council of State Housing Agencies (NCSHA) recently presented VHDA with four national awards recognizing outstanding achievement, the most received by any housing finance agency in the nation. This marks the third year in a row we have either won or tied for the top spot in the awards competition. “While I am very pleased that we received four national awards this year, I am even more pleased that these programs are helping to provide affordable housing that supports strong, safe and sustainable neighborhoods across Virginia,” said VHDA Executive Director Susan Dewey. Llew Anderson, Director of Executive Services; Brian Matt, Public Relations Manager. Jackie Black, VHDA Board Member; and Susan Dewey, VHDA Executive Director. VHDA’s Partnership for Habitat Housing won in the “Encouraging New Production” category, its Maximizing Rural Housing Resources in Virginia program won in the “Preservation and Rehabilitation” category, its South Hampton Roads Regional Supportive Studio Apartment Partnership won in the “Combating Homelessness” category, and its Internal Communications Strategy won in the “Operations” category. Today's blog post comes to us from VHDA's Diana Crosswhite, Policy Specialist for the Housing Choice Voucher Program department, explaining one of VHDA's secondary roles for the Commonwealth of Virginia. Most people are familiar with VHDA as a lending agency that provides mortgage loans for single and multifamily dwellings. However, many may not realize that VHDA also administers a Housing Choice Voucher (HCV) Program, which also makes VHDA a public housing agency or PHA, among its many other roles. Funding for the HCV Program comes directly from the U.S. Department of Housing and Urban Development (HUD) and is intended to provide rental assistance to extremely-low and very-low income families. HUD defines an extremely-low income family as earning 30 percent of median family income for an area, and a very-low income family as earning 50 percent of median family income for an area. HUD publishes an updated listing of income limits every year. In 1976, the Virginia General Assembly asked VHDA to apply for voucher funding on behalf of localities that were not eligible for the HUD program. VHDA contacted each county and city in Virginia to gauge their interest in the HCV Program. The first localities to indicate their interest included Campbell, Loudoun and Prince William counties and the cities of Lynchburg and Martinsville. The program grew to serve over 13,000 families by the year 2000. Today, VHDA has a voucher allocation of approximately 9,600 and partners with 32 agencies across Virginia to administer the voucher program. VHDA is only one of 44 PHAs in Virginia reporting directly to HUD. Many people assume that VHDA has oversight of the other PHAs in Virginia. However, each PHA reports either to the HUD Richmond Field Office or the HUD District of Columbia Field Office. Any questions or concerns related to a particular PHA should be directed to the appropriate HUD field office. REACH Virginia holds an annual workshop focusing on neighborhood revitalization through housing and economic development. Training emphasizes the importance of building neighborhoods, not just houses, and provides insight into the aspects of a community that planners may not be thinking of in the early stages of development. Existing and future retail is important to a thriving neighborhood and can include a farmer’s market. 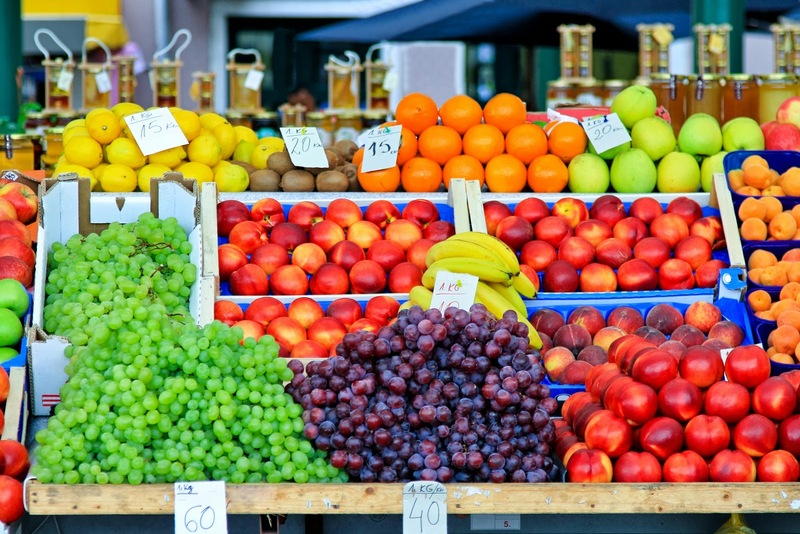 In this post, Mario Wells of VHDA shares tips to keep in mind if a farmer’s market is part of your neighborhood revitalization plan. A recent trip to my local farmer’s market helped me re-live my childhood where I would go over to my neighbor’s yard to pick peaches from their tree. The delectable produce and interaction amongst other shoppers at the market made me ponder how this market in particular became successful. Planning a farmer’s market takes know-how, but this form of retail could be lucrative for more than just local farmers; it could also benefit the entire community. In recent decades, farmer’s markets have again assumed their historic role as important social and economic institutions in many of our communities. Food has been used as a common practice in most cultures to bring people together. In addition, these markets change the mindset of individuals by making shopping a pleasure rather than a chore. Finally, a farmer’s market is the focal point of a community where individuals can bring their friends and families and enjoy a small-town atmosphere. Does real estate have room for crowdfunding? Is Community Development an Industry—or a Movement?